"The Argonautika", the only surviving epic of the Hellenistic era, is a retelling of the story of Jason and the Golden Fleece, probably the oldest extant Greek myth. Orpheus and Eurydice is a tale from Greek legend. Gottfried's work is regarded, alongside Wolfram von Eschenbach's Parzival and the Nibelungenlied, as one of the great narrative masterpieces of the German Middle Ages. Phèdre (originally Phèdre et Hippolyte) is a dramatic tragedy in five acts written in alexandrine verse by Jean Racine, first performed in 1677. He's one of English literature's all-time heavyweights, but most of what we know about Samuel Johnson, the man, comes from his friend Boswell’s hearty anecdotal biog. Quasimodo, a gentle and kind hunchback who lives a lonely, isolated life in a cathedral in Paris, rescues the beautiful Esmerelda from being hanged for a crime she did not commit. The story of the abandoned waif who learns to survive through challenging encounters with distress and misfortune. Walden (first published as Walden; or, Life in the Woods) is an American book written by noted transcendentalist Henry David Thoreau, a reflection upon simple living in natural surroundings. Benito Cereno is a novella by Herman Melville. It was first serialized in Putnam's Monthly in 1855 and later included a slightly revised version in his collection The Piazza Tales (1856). Life on the Mississippi is a memoir by Mark Twain detailing his days as a steamboat pilot on the Mississippi River before and after the American Civil War. Spawned by a nightmare that Stevenson had, this classic tale of the dark, primordial night of the soul remains a masterpiece of the duality of good and evil within us all. The Father (Swedish: Fadren) is a Naturalistic tragedy by Swedish playwright August Strindberg, written in 1887. 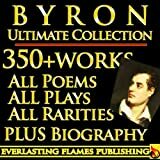 Works by modern and Victorian critics are presented together with poems from each stage of Browning's literary career. Penguin Island (1908; French: L'Île des Pingouins) is a satirical fictional history by Nobel Prize–winning French author Anatole France. The Magic Mountain is a novel by Thomas Mann, first published in November 1924. It is widely considered to be one of the most influential works of 20th century German literature. Death Comes for the Archbishop is a 1927 novel by Willa Cather. It concerns the attempts of a Catholic bishop and a priest to establish a diocese in New Mexico Territory. William Butler Yeats was an Irish poet, dramatist, and one of the foremost figures of 20th century literature.